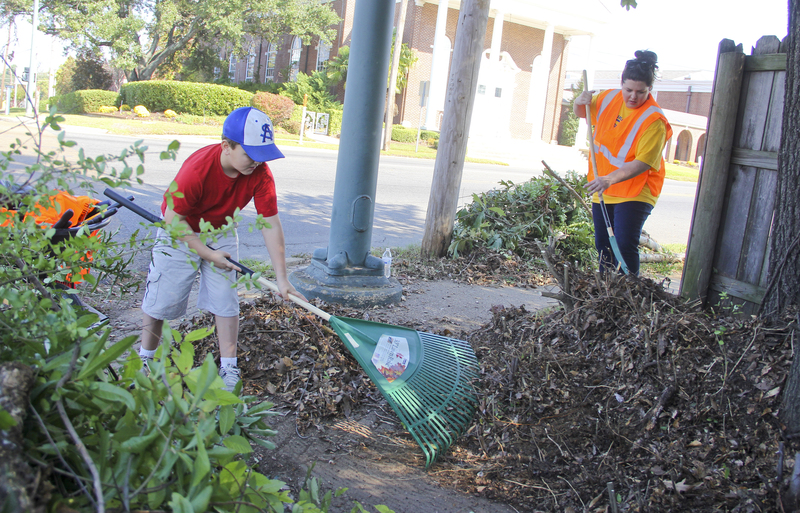 It began small – a husband and wife driving down Main Street in Magnolia wondering how much better their town would look with a little tender loving care. 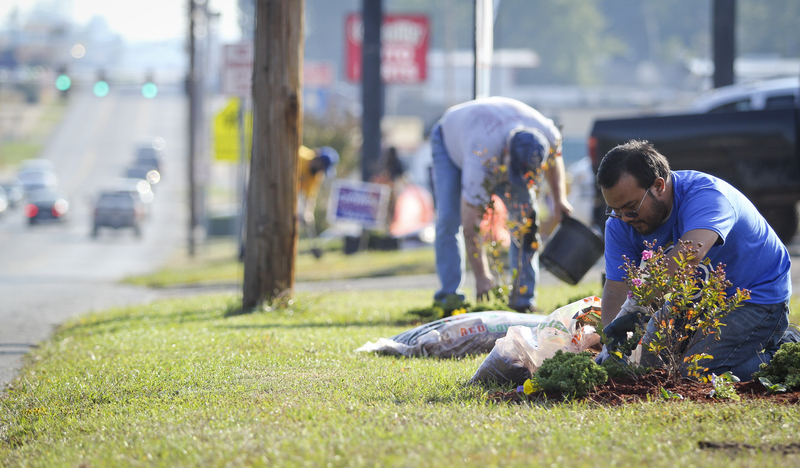 But on Saturday, Oct. 25, after months of planning and organizing, the small idea blossomed into a “Big Splash,” bringing a sense of renewal and community pride to areas that had been neglected for years. 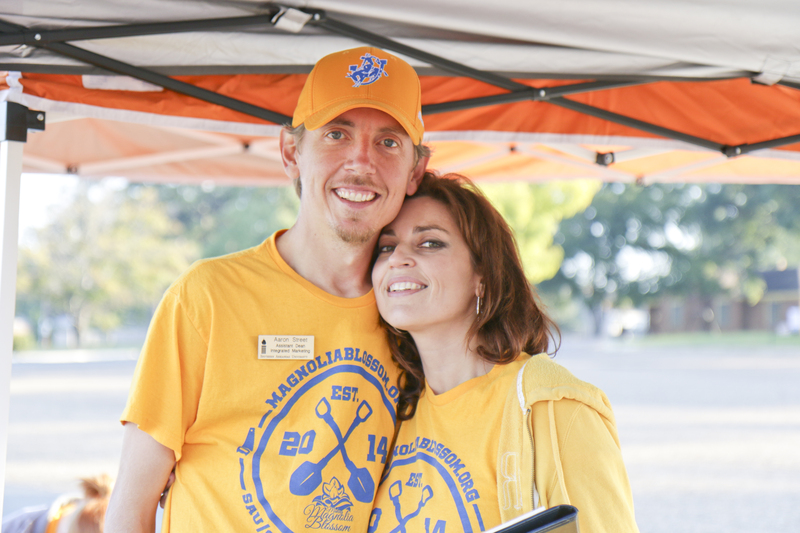 Around 500 community members joined forces for “Big Splash Saturday,” the kick-off event for a new community organization known as Making Magnolia Blossom. 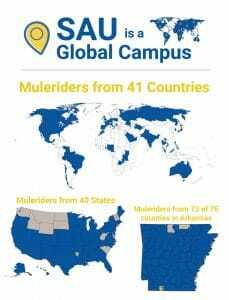 The group was founded by Aaron Street, assistant dean for integrated marketing and media relations at Southern Arkansas University, along with his wife, Dr. Viktoriya Street, associate professor of biology. The organizing committee grew to include many other faculty, staff, and students from the University. Organizers received $14,000 in early donations to help fund Big Splash Saturday. The Magnolia Advertising and Promotions Commission awarded Making Magnolia Blossom a $10,000 grant, and Magnolia’s Walmart gave a $2,000 Community Giving Grant. The remainder of the donations came from local businesses and individuals. Since the Big Splash, an additional $10,000 has been given by an anonymous donor who wants to see the improvements continue, and they did not have to wait long. 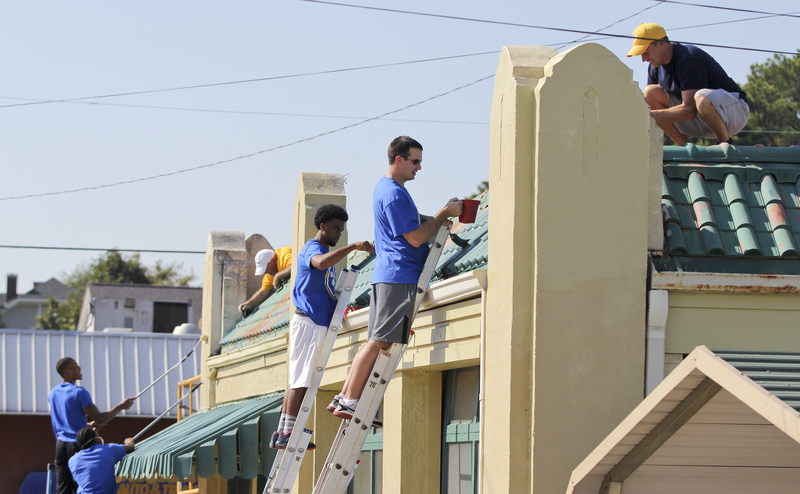 A follow-up event was held on December 6, and volunteers completed the painting of two Main Street businesses. Also on December 6, MMB sponsored its first fundraising event – the Ugly Sweater 5K. This unique event was held at the SAU track and community walking trail. The Making Magnolia Blossom committee at SAU is in the process of filing paperwork to become an official 501(c)(3) organization. 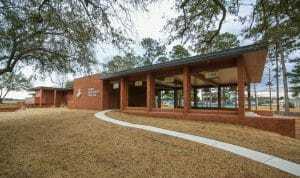 They will also be working to establish a permanent governing board. Aaron Street was very happy with the results of the group’s first efforts. The diversity among volunteers solidified the support given to the group. 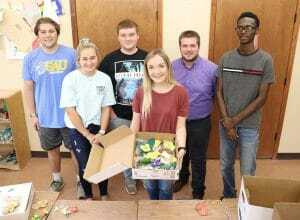 Volunteers included local junior high and high school students, city officials, community members, business teams, and even those on opposing sides of political issues. Dozens of improvements were made all across the 1.8 mile stretch of Main Street, and the before and after comparisons are amazing to see. Entering the city from the east, drivers were once welcomed by an overgrown lot at the intersection of U.S. highways 82 and 79. A sign intended to greet visitors had become surrounded by an overgrown drainage ditch and enclosed by a fence that was overrun with a dense layer of weeds and vines. That area has now been transformed as trees have been removed, weeds have been mown, and the fence line has been completely cleared. Up and down Main Street, lots that have been neglected for decades have been cleared, sidewalks have been edged, and curbs have been given a fresh coat of paint. Several empty sign posts were cut down to provide a cleaner line of site for those who drive down the city’s main thoroughfare. 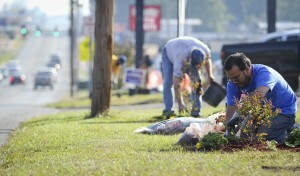 Trees were trimmed, and ditches were burned off, cleaning up overgrowth and years of neglect. Volunteers filled dozens of bags with litter that had collected in ditches and on the sides of the street. Those bags were then hauled away by yet another group of volunteers. From Dudney Street to the Columbia County Courthouse Square, small plots of patterned landscaping have been added. The plots include crepe myrtle trees that will provide bright, colorful blooms during summer months.